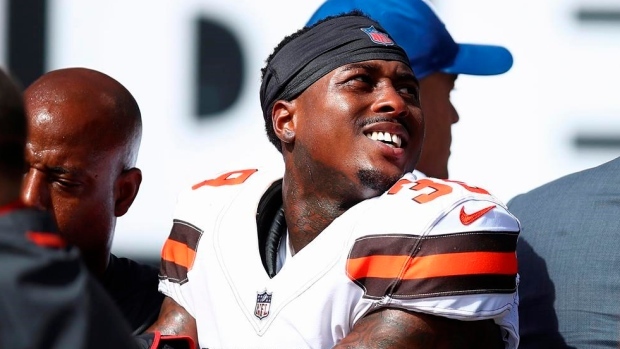 CLEVELAND — Browns cornerback Terrance Mitchell has been activated from injured reserve after missing eight games with a broken right wrist. Cleveland made the move Saturday, enabling Mitchell to be available for Sunday's game against Carolina. The Browns need Mitchell because rookie cornerback Denzel Ward is out with a concussion suffered last week at Houston. The 26-year-old Mitchell broke his wrist making a tackle on Sept. 30 against Oakland. He started Cleveland's first four games opposite Ward before getting hurt. The Browns placed tight end Pharaoh Brown on injured reserve to open a roster spot for Mitchell, who signed with Cleveland as a free agent in March after two seasons with Kansas City. Defensive tackle Larry Ogunjobi is expected to play Sunday despite a biceps injury that initially appeared serious.